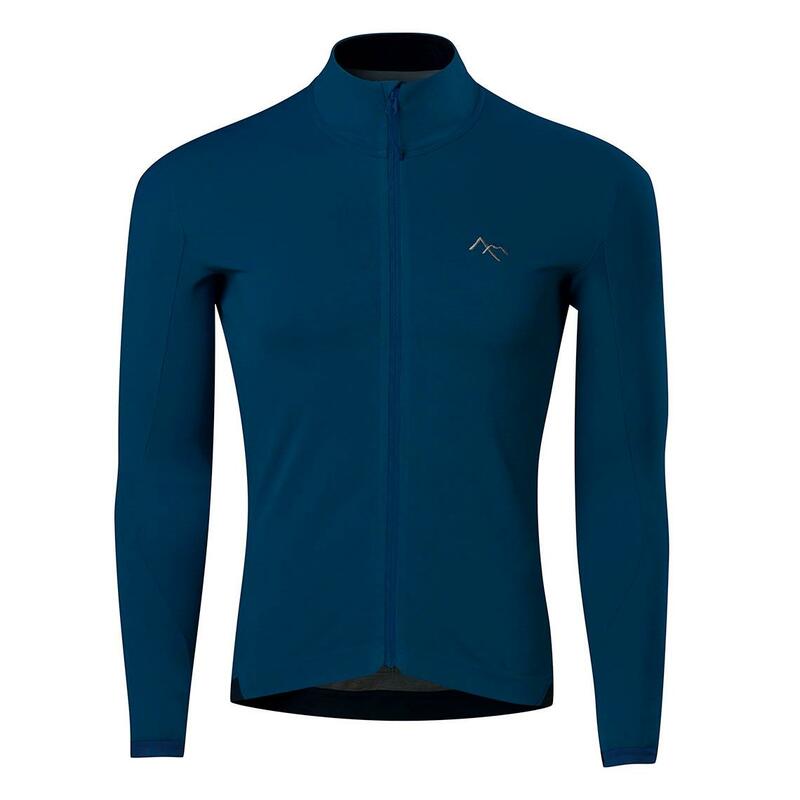 The Callaghan Jersey combines the warmth of wool with the fast drying performance of polyester to function as an ideal standalone or layering piece for autumn/winter riding. 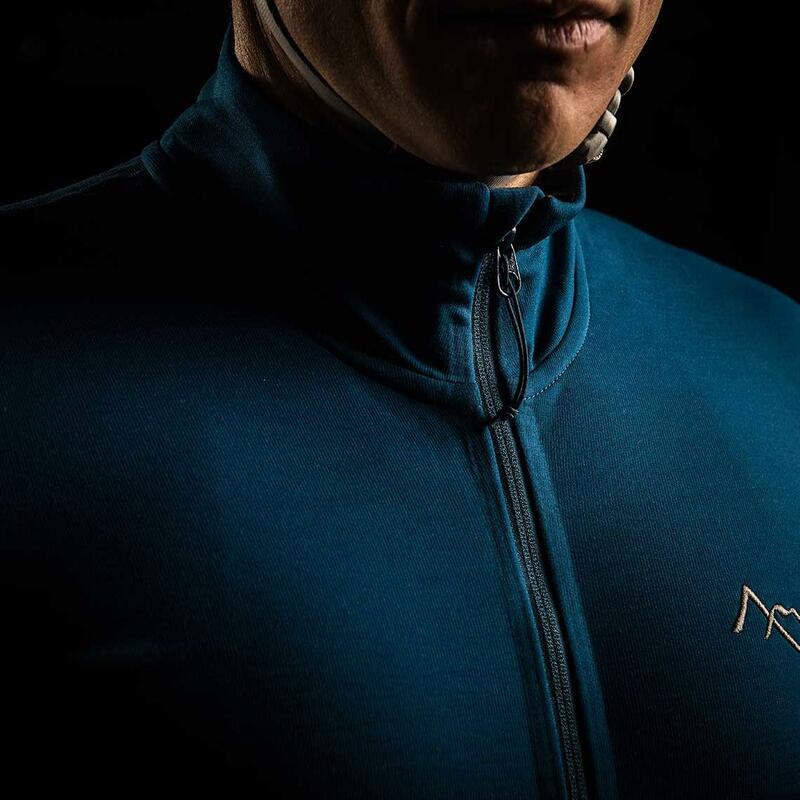 The Merino wool inner face is comfortable, warm, and odour resistant, while the polyester exterior has fibres extending into the wool to wick moisture to the face for rapid evaporation. 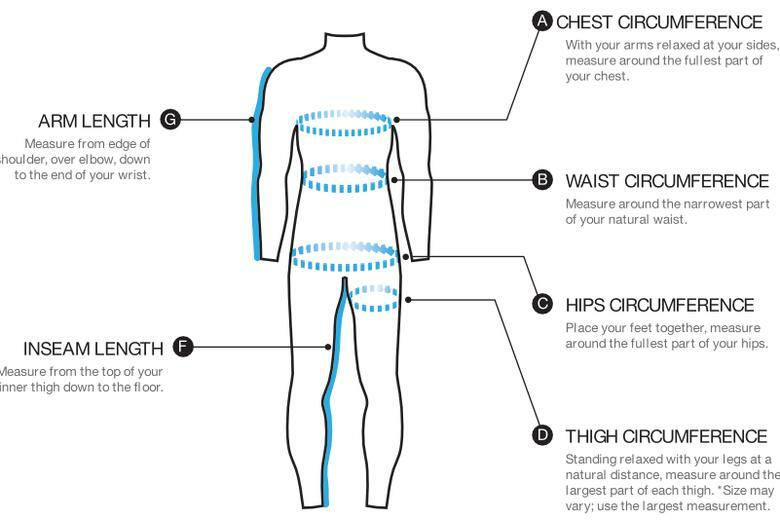 Micro stitching instead of serging gives the seams the lowest possible profile on a 4-way stretch fabric, reducing bulk and weight and maintaining the stretch characteristics of the fabric for maximum comfort. The Callaghan features two large angled rear pockets. Easily accessible with gloves, the pockets feature internal sleeves to secure your phone, headphone ports for routing cables, and pocket guards to help secure your cargo. 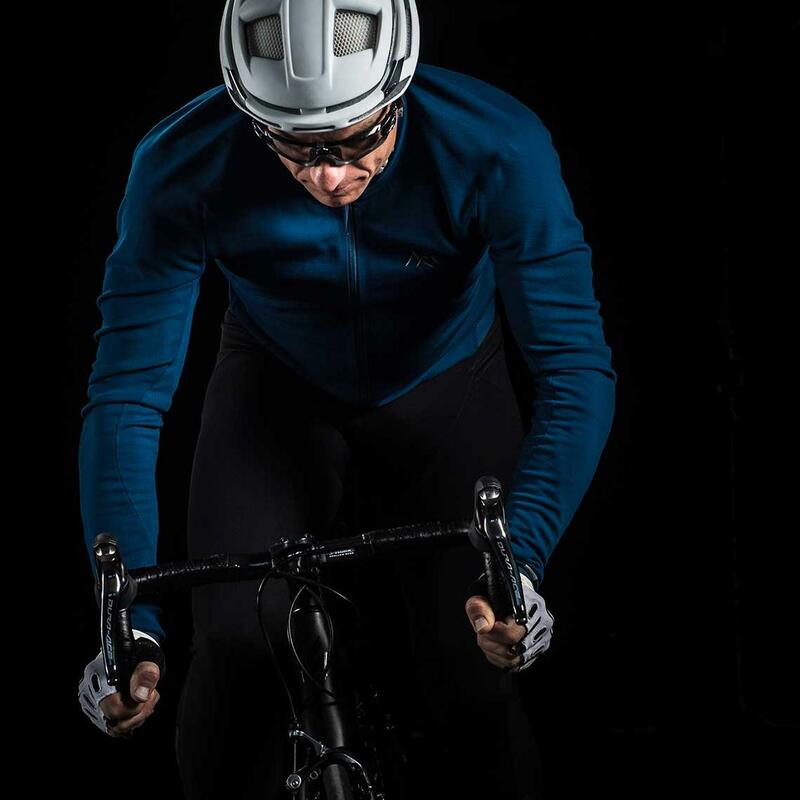 A high neck offers protection on the chilliest of days while reflective details improve visibility in low light.